I’ve been wanting to try engraving a glass mirror. I picked up several 2-inch round mirrors from the craft store for a test. You could engrave from the front, which would be the same as engraving any kind of glass. You’d get a frosted effect. But what I wanted to try was engraving the back, through the metallized coating that turns a sheet of glass into a mirror. For my first attempt I guessed 10 power and 100 speed, and that turns out not to be enough. It cut through the protective coating, and into the metal layer, but not through the metal. Interestingly, the metal layer appears to be copper colored from the back. I’m guessing that the white metal (do they still use silver?) reflective layer is very, very thin and copper is plated on top of it for protection. Increasing the power to 30 created the effect I was looking for. It was immediately obvious that it was cutting through the metal, because the laser lit up the entire piece! In the video you can see that I used some masking tape folded over to attach the mirror to a piece of scrap wood. Without the tape, the compressed air blast from the laser head was enough to float the mirror out of alignment. 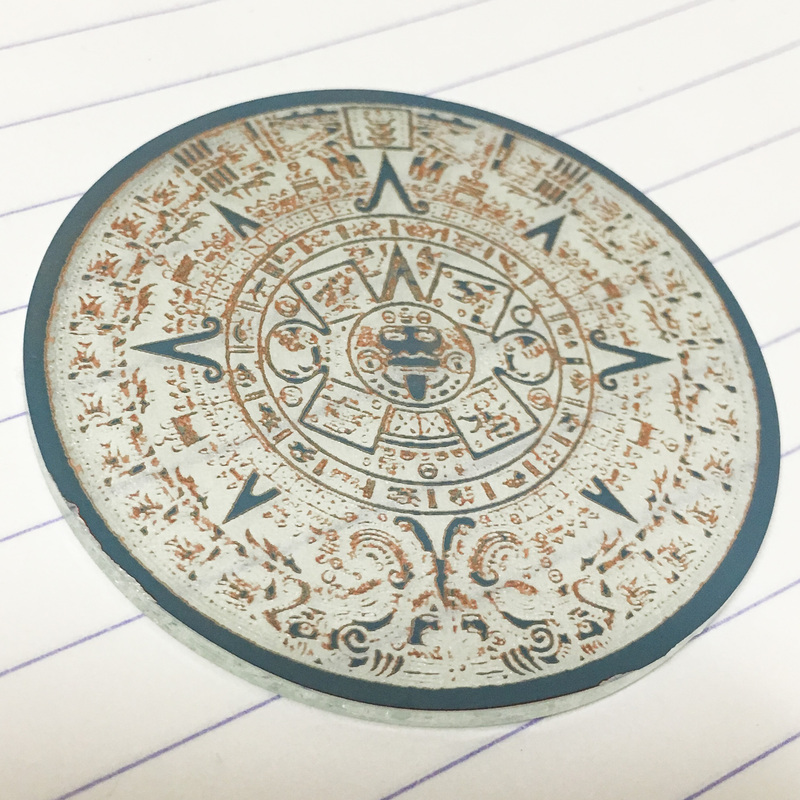 I engraved a circle on the wood to help me place the mirror accurately. The final result is a little hard to visualize from a photograph, but it looks really cool in person. Sparkly! In the photo you can see the reflection of my rose gold iPhone (camera) in the parts of the mirror that are still mirror. The engraved parts appear frosted white. The dark blue is the protective coating, which you can see has been removed in many places where the metal is left intact. It would probably be a good idea to re-coat the engraved mirror to keep the metal from corroding. Also, the edges are sharp, so some kind of mounting for it (or grinding the edges smooth) would be a good idea. Yes, it is, in fact, actual silver on the back. The processes of making a mirror is actually called “silvering”. Fortunately it’s thin enough of a layer that it an be burned off. Usually it’s just silver and a b;lack cot to keep the silver from oxidizing. Yours was probably a better quality one that had a layer of copper in between to help adhesion. This also explains why you needed more power. 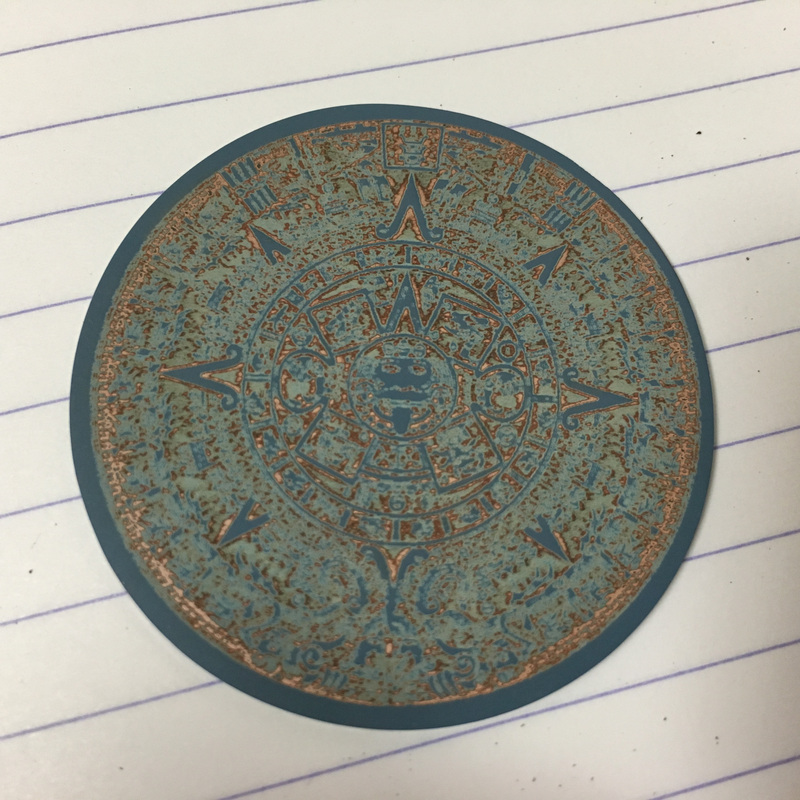 Copper is especially resistant to laser cutting. I did one with a pretty low power setting as i recall and it went right through. Don’t over power or a thin mirror may crack from the heat of the black paint. And you DEFINITELY need to re-coat over the cuts when done or the silver will turn silver oxide, which is the black stuff you see creeping up on the edges of cheaper or cut mirrors after a while. If you want the see-though effect, you can just use a clear coat. I actually wnated the copper effect, so I sprayed copper flake paint an then cheap primer over it to keep the copper form oxidizing too. How to engrave a mirror with laser’s reflexion. Do you know how to remove the sparkly / flaky layer? 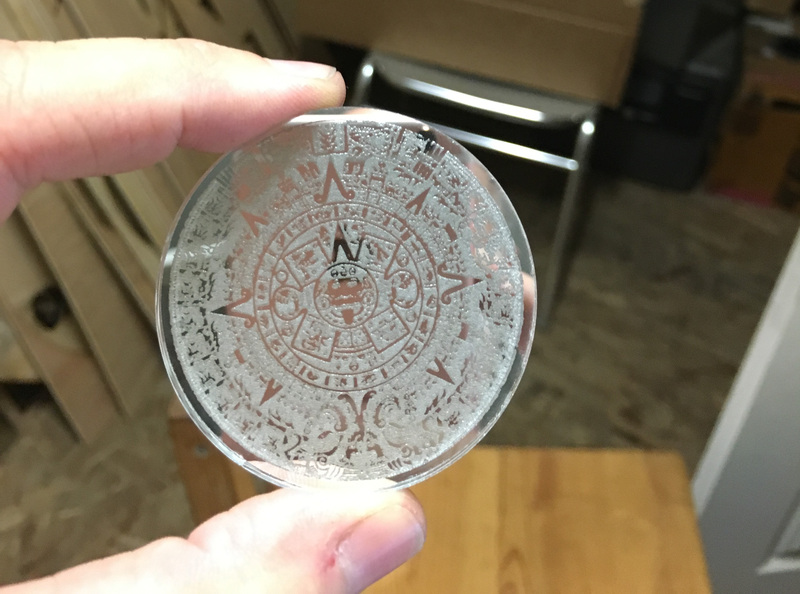 I’ve just reverse etched a mirror and would like to color fill with a bright color, and the sparkly layer is all blotchy. Tried re-running it numerous times, scrubbing it with different chemicals, physically trying to scrape it off, no good results yet. I’m not sure which layer you mean, but the answer is the same: I don’t have any special techniques for removing it.